Designer Marble Inlay Flooring offered come in exclusively designed finish and finely polished surfaces that make these deliver high aesthetics to the interiors where these are installed. Made available in different designs, sizes and color options, their intricately designed finish is widely appreciated by customers for smooth surface touch as well as exclusive shades that make these perfect to be used in areas like Commercial and Residential establishments. Here, our expertise also lies in making these available in both standard and customized finish specifications as detailed by the customers. 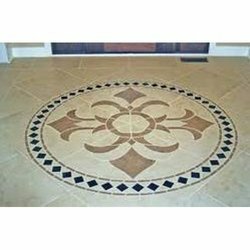 Being a prominent manufacturer, we are engaged in designing and supplying the best quality of Marble Inlay Flooring, which is designed using the superior quality of raw materials. 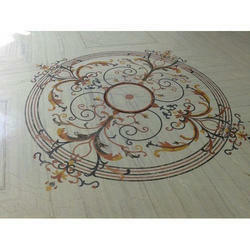 We present our products in different colors and shades and their cost also depend on that. The designs of rangoli are designed by our designers who always think different ideas to satisfy the needs of our clients. Before, we supplying these products we investigate them properly so that our clients will be satisfied with our products.